Could not have come at a better time to add salt to the wound for the Sino-Japan relations, which was already “cracked” over the arrest of the Chinese fishing boat captain after the collision incident in waters near the territorial disputed Diaoyutai Islands. This time, China’s national treasure, giant panda died in Japan. (From Taobao) Kobe (the sixth-largest city in Japan) government announced on September 9, the 14-year-old male giant panda Xing Xing (formerly known has Long Long) kept in the city Oji Zoo died at noon on that day. According to Japan’s Kyodo news, Xing Xing died under anesthesia when staff tried to collect sperms from him for artificial insemination. Yesterday, the China Giant Panda Protection Research Center remained silent on the matter. 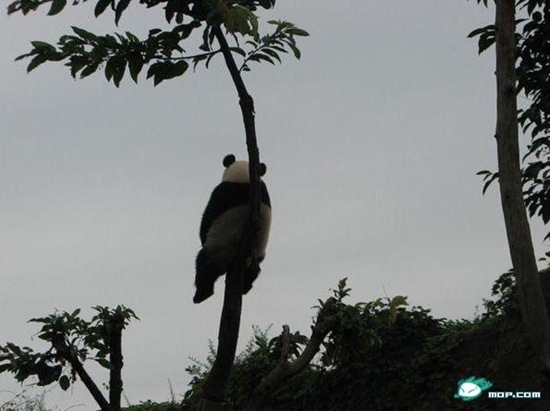 Reporter learned that it is common practice to put panda under anesthesia before collecting sperms for artificial insemination during the giant panda breeding work, however if the improper dose of anesthetic is will result in unpredictable consequences. This giant panda Xing Xing was sent to the zoo in Japan along with a female giant panda Dan Dan in December 2002. (Update from Qingdao News) In Japan for 8 years, 14-year-old male panda, “Xing Xing” died suddenly, some experts questioned the cause of death was because the Zoo put Xing Xing under anesthesia and tried to collect sperm outside of the mating season. China’s State Forestry Administration has asked the Japanese side to take care of Xing Xing’s body, also set up an expert group to rush to identify the cause of death in Japan. China Wildlife Conservation Association said, under the Sino-Japanese cooperation panda breeding agreement, death of panda amounts to 500,000 US dollars of compensation. This was obviously intentional by the Japanese. They want to inflict as much pain on the Chinese as possible. This is a national insult! …and I want to add that the Japanese owe an immediate apology to the Chinese people. Our feelings have been deeply hurt. Boo, you’re an idiot for assuming that it was intentional. I highly doubt that anyone in Japan was plotting to kill the giant panda. He isn’t sarcastic. He’s a cretin. 14 years is getting slightly oldish for a bear and what doctor’s usually never tell you is that anesthesia ALWAYS have a small chance of killing you no matter if you are a human being or a panda or whatever. I love pandas (hence the user name) but occasionally they die and unless they were killed on purpose there isn’t much we can do about it. I’d also point out that accidental death during the breeding program in Japan is probably a lot less likely than having Chinese farmers encroaching on your land and morons killing you for perceived medicinal purposes for centuries. Poor panda but my guess is that he at least had a better life in a Jap zoo than in a Chinese one,, the places here are usually awful. Why has Japan not immediately apologized? Do they seek to re-open the wounds they caused in NanJing? Short Japanese devils! It’s actually quite funny to think of it, that your parents named you after HK popstar Eason Chan. Yet you refuse to deny your own Chinese heritage because you hold an American passport. Pathetic. Haha you’re so clueless, it’s no wonder you turned out the way you did. I’m not in any way Chinese, have no han ethnic heritage, or am named after 陈奕迅. I feel like you have a lot of lead paint heritage in your family. A new classic burn is born. Well I’m yet to find any non-Chinese guy refer to people from Hong Kong as Hongkongnese. Or better yet, any white guy named ‘Eason’. Now perhaps you are the one anomaly to prove me wrong. So if that is the case, then perhaps what I perceived to be an obvious inference from both your behavior and name is incorrect. Is it likely? It’s probably as likely as me being ‘Taiwanese’. LOL! Keep your mind open, and you may learn a lot of things you wouldn’t accept before. did your parents name you voice of china? Your mom needs to be censored. Eh, what? I’m all for bashing China’s policies when needed but the 1 child policy was probably the best thing to happen to this country for centuries. If the law hadn’t been implemented there’d be more than 2.000.000.000 Chinese by 2050 living in utter poverty with unbelievable food shortages and probably raging civil wars, the collapse of government and possibly several wars for lebensraum. The 1 child policy was a gutsy move than probably couldn’t have been made in a democracy, no matter how big the need was. Good on you CCP. Guobao- you might be right, but you also have to bear in mind that such harsh measures were probably only necessary because of Mao’s ‘have a lot of babies, people’ stance. At least one high-up scientist was warning that the population was unsustainable, but he got ‘criticised’ because apparently there was no such thing as unsustainable in a glorious socialist paradise. So, uh, good on you, CCP, but also bad on you, CCP. Panda is an ancient species, they should not still exist. We humen tried to keep them around because they are cute and cuddly, it’s kinda against nature and cruel. Now they produce nothing but being a political puppet, I pitty them for their suggle. I’m so tired of speeches of hurting feelings, we chinese choose to give the panda away, it’s pointless to blame. You forget the fact that it’s the Chinese (or rather we human beings) who have pushed the Pandas to near-extinction, just as we have done with wan’s of other species since our rise to the top of the food chain. In the name of bio-diversity we ought to hold on to our pandas. Imagine the loss of face if China couldn’t manage to keep their guo bao alive as a species. Your political correctness is commendable, yet superfluous. Unlike polar bears for example, the near-extinction of Panda’s is clearly caused by Chinese only. The blame should be placed where it belongs. Yet we should all bear a common responsability to keep them alive, if it were only because as a species they are quite unique and too bloody endearing to ignore. Sometimes I just wish people would put their feet into our shoes. Ah who cares – I get tired of China glorifying these animals as if they were so much superior to any other creature that walks the earth. When I went to the Beijing Zoo the Pandas were the only animals that had decent facilities, the rest of the poor animals lived in dirty little cages and would have been better off dead. Panda bears aren’t that cute and they have horrible temperaments. It says something when it becomes hard to distinguish sarcasm from real claims by the Chinese authorities. Some of the Chinese declarations are so bizarre that it’s hard to tell when someone like Boo (see above) is mocking them or being serious. No, its actual very easy to see the sarcasm. Same words, same tone but in the wrong context. Only those who are intellectual handicapped such as yourself might have a problem identifying it. Why hasn’t anyone pointed out the fact that the title is nonsense and is obviously meant to provoke an hysteric reaction? 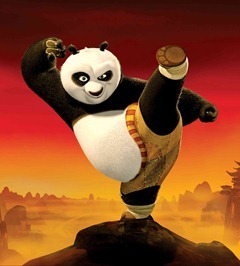 “China’s panda” implies that China had only one panda when in reality China has over one thousand of the boring animals. Would I be right in thinking it’s a slow news day here on chinahush. well, only one panda died, right? I don’t dispute the fact that in the wild Giant Pandas may only be found in China and are hence China’s Pandas. Kinda ironic that China, the world’s most populous country, is home to one of the least fertile animals on earth. Apparently since 1984 China has been offering pandas to other nations only on 10-year loans. The standard loan terms include a fee of up to US$1,000,000 per year (!) and a provision that any cubs born during the loan are the property of the People’s Republic of China. The current reproductive rate is considered one young every two years. So if every Panda is worth potentially 20 million USD plus intrest, the supposed lack of fertility is kinda self-serving and certainly should be regarded with at least some degree of irony. I think Korean guy is an imposter. I think Korean guy is actually Japanese, trying to derail the relationship between China and Korea. Let’s be honest now – the Chinese are closer to the Koreans than the Japanese after WWII, no? Common sense. Korean Guy RUMBLED!!! Korean guy is trying to cause disharmony to the Chinese and Korean people, why? China in a gold mine is Asia these days, the British and American want to work with this new “Asian Superpower”. So why would the a Korean guy be so silly to cause their ppl to lose favour in the eyes of an Asia Superpower???! Reason is probably Korean guy is Japanese guy! Be careful!!! Open your eyes to recent events, look what happened to the PANDA! If you were Korean, would you be so stupid to abuse a “economical superpower” like China? If you do, who would suffer? You just create hate for your own people, and give them a bad image, right?! So either Korean guy is stupid, or he doesn’t care about his fellow countrymen, or is he NOT Korean at all!!! I meant your forefathers are from China…If you are Chinese Malaysian. As for his political and economic theories, what an idiot. Western nations need to stop China? What do you think they’ve been trying to do the last few years. The current regime will stop soon or become democratic? In your dreams. As I said gook_guy (regardless of whether you are a Malaysian gook or not), you should stick to petty insults. They suit your style more. Leave economics and politics to the more educated. Actually, kg seems quite educated. He just seems obsessed hiding it when he’s playing with boys. Yet I have witnessed him being very thoughtful when he’s playing with girls… I guess he’s still a bit confused over some gender issues. Korean Guy is not Korean, it’s a facade. “Korean guy” has probably been hurt by the Korean and Chinese people, that’s why he uses this identity to cause friction between the Chinese and Koreans. He may be Malaysian or more likely Japanese. Definitely not Korean! Do not be fooled, open your eyes to the TRUTH! Typo? what typo? 兴兴 was his name in Japan, 龙龙 was his name in China. Webmaster, just disable the comment section. This part of the website truly makes it very unattractive to visit. Establish a forum or something, because nationalist hypocrit basement NEET-opinions are worthless and should be burned in a digital fire. a panda for a fisherman, fair trade anyone? Yesterday two Panda’s (twins) were born in Madrid by artificial insemination. Poor panda, the Japanese must have given him too many viagra. I dont think it is stupidity on handling animals and is not intentional. Correction : I think it is stupidity on handling animals and is not intentional.